The Low Halogen Marker has a low chloride and low halogen solidified paint formula. 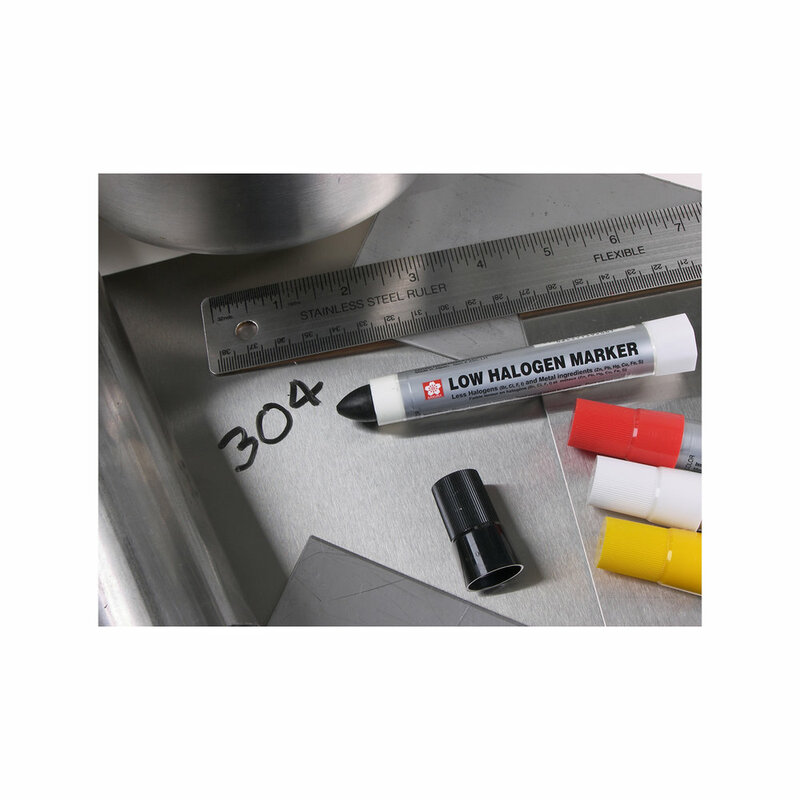 This low chloride marker is ideal for environments where corrosion and metal fatigue are a concern. Low Halogen Marker contains less halogens (Br, Cl, F, I) and metal ingredients (Zn, Pb, Hg, Cu, Fe, S) meeting RDT F-7-3T requirements and is certified non-toxic. The 13 mm tip can be trimmed with a blade for finer marks. The handy applicator features an easy twist-up mechanism that keeps paint ready to use. The paint dries quickly in minutes, is waterproof, and fade and chemical resistant. The working temperature range is -40° to 212° F (-40° to 100° C), and is recommended for clean, dry surfaces. Alcohol based cleaners will remove marks from most non-porous surfaces. Possible applications include use on stainless steel, petrochemical and refineries, energy power plants, desalinization plants, transportation infrastructure and aerospace. Documentation concerning low chloride and low halogen content, and SDS sheets are available upon request. For the standard paint formula version of this marker click Solid Marker.